Indonesian ride-hailing giant Go-Jek driving towards decacorn title after its latest impressive series f funding and growth. As Indonesia's most valuable startup right now with its ±US$9 billion of valuation, it takes only one more funding round for GOJEK to accelerate its unicorn title and transform it to decacorn. After several series f funding from those 'giant players' such as Google, Tencent, JD.com, it's a one step closer for this Nadiem Makarim's company to become first Indonesia decacorn or the second Southeast Asia decacorn after Malaysian ride-hailing giant Grab. Well, this will make the roadmap of Southeast Asia (SEA) digital economy and startup growth become more and more and more interesting. There are 7 unicorns in SEA, 2 of them are decacorns which owned by Malaysia and Indonesia. I feel really curious with Singapore movement considering that Singapore is a SEA country with the most advanced digital development either in the startup growth or its goverment regulation on startup but they got only 1 unicorn which is the SEA ltd (Shopee parent company). As a very dynamic region, SEA is a home for more than 600 million population. According to Internet World Asia data, there are more than 200 million Internet Users in this region and Indonesia has the most internet users with more than 130 million users. In 2018 Report for Indonesia market, GOJEK has calimed 15 million active weekly users with 100 million monthly transactions from all of their services such as Go-Ride, Go-Food, Go-Car, Go-Mart, Go-Send, Go-Box, Go-Med, Go-Life, etc. The user base will definitely increase regarding to the regional expansion to several SEA markets such as Vietnam (GO-VIET), Singapore(GOJEK), and Thailand (GET). The costs for expansion has also soaring the funding from investors, and it means it impacted the valuation too. The regional expansion of GOJEK is not just about the ride-hailing or services on demand, but it's also about the E-wallet: GOPAY. By expanding to other region markets, GOJEK with its GOPAY will help the digital transformation from cash society to cashless society in SEA. It's a good prospect to strengthen the E-wallet in the region which has more than 600 million market share considering that Alibaba's Alipay become hugely used becuase the market share of China with its more than 1.3 billion. With a huge number of user base in the region and the promising revenue streams, it's not a surprise when GOJEK has a very impressive funding from other giant companies. With its ±US$9 billion of valuation right now, GOJEK has shown that Indonesia and Southest Asia are very promising for the markets. Therefore, it's not something excessive when the investors willing to give a lot of funds for expanding. Regional expansion has become a good way for startups to increase the valuation and gain the user base. I do believe if Grab, GOJEK, or SEA didn't expand, their valuations wouldn't have become this big. I guarantee you, the first Indonesia Decacorn will be the green one. But, the question is, which one? GOJEK's green, or Tokopedia's green? Up to this time, Gojek Has ±US$9 billion of valuation, meanwhile Tokopedia has ±US$7 billion of valuation. It's a very interesting situation because their valuations right now are below US$10 billion but they should only need one more series F funding to become a decacorn. It takes only one more little step of series f funding for GOJEK to become first Indonesia decacorn, but there is an interesting possibility which is Tokopedia could overtake the 'first Indonesia decacorn' title from GOJEK if in the next funding series Tokopedia get a very impressive mega funding, of course It's not a matter for Softbank or Sequoia Capital and Alibaba to make it happen. I see 3 scenarios here: 1.) 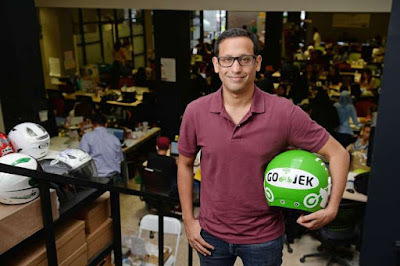 GOJEK becomes the first Indonesia decacorn, because it takes only one step closer for GOJEK to level up the US$9 billion to US$10 billion of valuation. 2.) Tokopedia becomes first Indonesia decacorn if they could get a very impressive and 'faster' funding. 3.) GOJEK and Tokopedia both become first Indonesia decacorn because they get more than US$10 billion of valuation, the difference just whose valuation is 'bigger'. So, GOJEK or Tokopedia? I'm going with GOJEK. Because after all GOJEK'S chance to become first Indonesia decacorn is bigger than Tokopedia because GOJEK is more superior to Tokopedia with ±US$2 billion of valuation. But that's okay, the race between GOJEK and Tokopedia to become first Indonesia decacorn is a great parameter to conclude that Indonesia is more superior to other SEA countries when it comes to digital market. 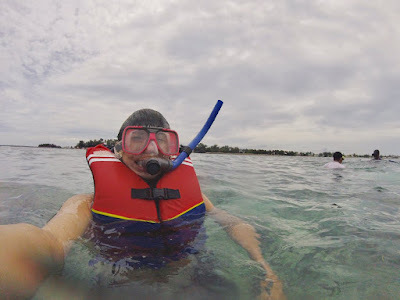 It's true that the first SEA decacorn was from Malaysia which is Grab, but I bet the second, and the third will be from Indonesia which I really believe they will be GOJEK and Tokopedia. It's interesting, right? Grab, GOJEK, Tokopedia: The first 3 SEA decacorns are green! Wow. I guess, the fourth SEA decacorn will be from Indonesia too, but it's the blue one which is the Online Travel Agent one.